This course goes beyond the basics in administrating the SAS platform. 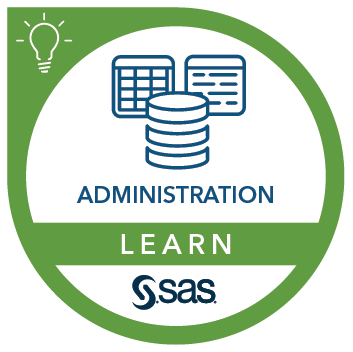 The course explores maintenance tasks performed within the SAS administration life cycle with SAS Environment Manager. These tasks include running backups through Backup Manager, exploring metadata security, setting up log tracking for a server, taking a snapshot of a SAS environment, scheduling and verifying maintenance jobs, using the Report Center, modifying reports, monitoring disk space, monitoring data marts and databases, monitoring the SASWork directory, scheduling the cleanwork utility, and managing logs.